(shakes head in amazement) --- Amazing! We’re gettin’ the feels right now! NEWTON! For your humble scribe, Newton “Unfiltered” Chardonnay may have been one of his earliest “epiphany” wines back when he was 18 or so and bussing tables in Sacramento (shout out to Biba Ristorante! ), that sent him down this ambrosial career path (it could easily have been beer instead of wine, there, for a time). 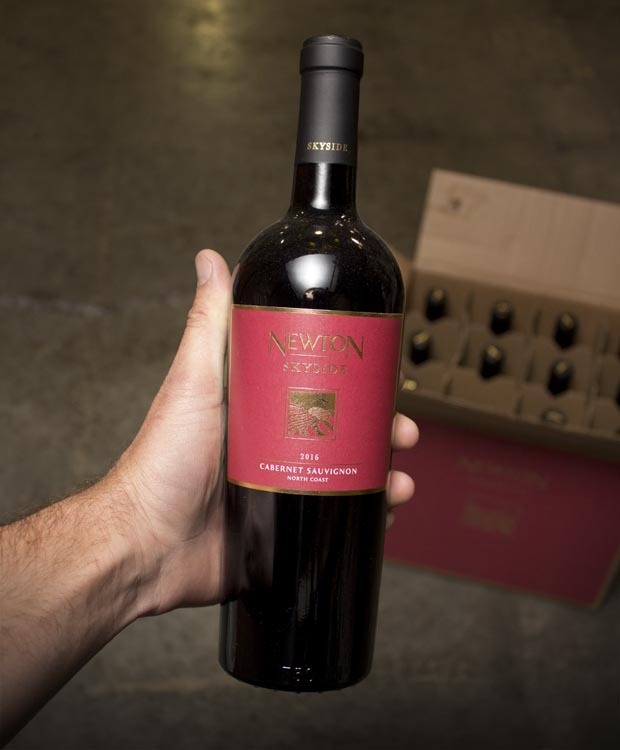 So it is with much unfiltered, unfettered joy we let you in on today’s brilliant offer: NEWTON CAB! Best price anywhere, of course!! This bottling, Skyside, is what was formerly known as Newton’s “Red Label” -- a drink-me-now-with-gusto version of their flagship (and much pricier, natch) Estate Cab. AT THIS PRICE? It’s a drink-two-of-me version, are we right? Sorry, we just so rarely see a Napa Cab of any decent quality priced anything CLOSE to this! Killer vintage too! Juicy, juicy, perfumey Cab, that is for sure. It’s all about the percolatingly fresh red and blue berries, easygoing structure and little back hints of mocha, licorice and tobacco leaf. What can we say? We’re still a bit stunned. What a yummy, drink-with-everything early drinking Napa Cab that will hit everyone including you just right, we promise! NO-BRAINER price today ---- as long as it lasts, that is!! NEWTON! Amazing! Very inviting aromas of blackberry, cherry and spice that mingle with well integrated oak. The palate spicy, fruit and broad, with layers of cocoa and cassis. The wine is supported by supple tannins and a long balanced finish. Vineyard: Sustainable practices consider the entire ecosystem, vines, animals, other plant species, soil life and type in order to minimize pests and diseases and foster a healthy symbiotic relationship between vines and the environment. This wine pairs well with bold flavors like lamb souvlaki, and osso bucco but is also great with lighter dishes like carne asada or smoked tofu tacos.